Grand Mayan Tequila is made with the best agave and sold in a beautiful hand-made decanter created by Mexican artists, as a symbol of deep tradition and history. 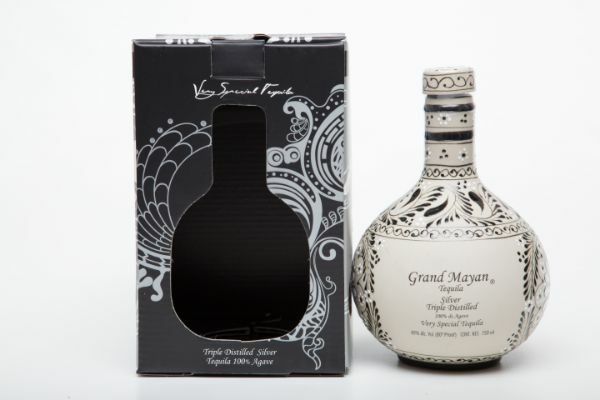 Grand Mayan Silver is distilled slowly 3 times, making the perfect white spirit. Aroma: Agave, citrus fruits with mint.